Written by Nigel Watson of the Antarctic Heritage Trust, and illustrated with Jane Ussher's stunning photographs, historic images and never-before-seen ephemera, this is the first book to fully document and celebrate the contribution Sir Edmund Hillary and the New Zealand team made to Antarctic history, and the legacy they left behind. A qualified lawyer, Nigel Watson is the Executive Director of the Antarctic Heritage Trust. The Trust cares, on behalf of the international community, for the first expedition bases left in Antarctica's Ross Sea Region.This includes the iconic bases left by expeditions led by Robert Falcon Scott, Ernest Shackleton and Sir Edmund Hillary. Nigel conceived and has overseen the Ross Sea Heritage Restoration Project - the world's largest cold-climate heritage conservation project - and has led expeditions to Antarctica for the past eighteen seasons. 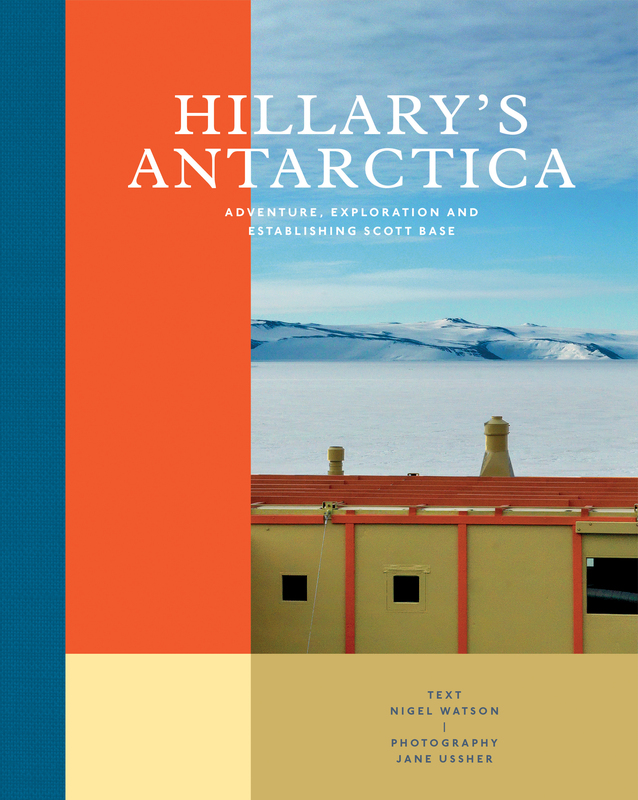 He is an authority on Antarctic history, and is the co-author of the acclaimed Still Life: Inside the Historic Huts of Scott and Shackleton with Jane Ussher and a contributor to Assouline's South Pole: The British Antarctic Expedition 1910-1913 by Christine Dell'Amore. Jane Ussher is well known and respected for her documentary work as a photographer, and is regarded as one of New Zealand's foremost portrait photographers. In 2009, at the invitation of Antarctica New Zealand and the Antarctic Heritage Trust, Jane travelled to the Antarctic and spent over four weeks on the ice photographing the historic huts of Scott and Shackleton. Those images were published in the book Still Life and subsequently became the basis for an immersive exhibition. Jane's other published books include the award-winning Coast: A New Zealand journey, Face to Face, Worship: A History of New Zealand Church Design and Islands: A New Zealand Journey. In 2009 Jane was made a Member of the New Zealand Order of Merit for services to photography, and was also inducted into the Massey University Hall of Fame.